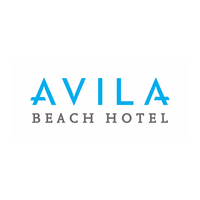 The Avila Beach Hotel is characterized by its excellent service in a stylish and contemporary setting. Our diverse Food & Beverage Department includes Conferences & Banqueting (6 meeting locations), Restaurant The Pen, Blues Bar & Restaurant, Avila Café, Schooner Bar & Restaurant, The Pool Bar and Special Events. We are currently looking for an enthusiastic, friendly and knowledgeable new colleague to join our team. •Overall Restaurant Management by leading the operational, commercial and financial operations of all food and beverage menu’s of the restaurants. •Exceeding the guests’ expectations as well as commercial results of the outlets. •Hosting, upselling, cross-selling, driving promotions and coordinating events. •Manage outlet par-stocks, ordering, costing, menu-engineering and entertainment. •Recruitment, on-boarding, training, scheduling and leading the service team. •Continuous improvement of Team Motivation, Service Quality and Menu’s & Marketing. •Minimum of 3 years experience in a similar position in a busy restaurant environment . •Reports to the Food & Beverage and works closely with the Head Chef – Main Kitchen, Sous Chef, the Bars Manager and F&B Commerce. •Able to work evening shifts, weekends and holidays. •Perform all-round supervision tasks in other F&B outlets when required. •Product knowledge: gastronomy, cocktails, wines, fast plate service. •Languages: fluent in Dutch and English, spoken and written, Papiamentu is a big plus. •Interpersonal skills: hospitable, communicative, motivator, trainer with natural flair. •Administrative skills: reservations management, complaint handling, menu sales analysis, Restaurant P&L, designing and implementing SOP’s and event organizing. Interested? You can contact the company by data below.